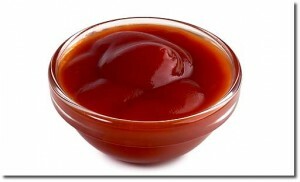 All diners are given a choice of 2 ketchups they can use with their meals: The Heinz or the W ketchup. John Kerry’s wife, Tereza Heinz Kerry is the heiress of the company that makes Heinz ketchup. While W ketchup is made by a republican supporter who didn’t want to eat the Heinz ketchup and support the democrats. In September, she sends press releases to media outlets letting them know about her unofficial poll and receives plenty of free publicity. Then on Nov 1, Becky tallies the votes and sends one more press release to the same media outlets letting them know about the winner of her polls. This time, she receives even more publicity as its just one day before the elections. Alas! Her polls didn’t accurately predict the elections. Her diners overwhelmingly select Heinz over W ketchup. And George W ends up winning the elections. Even though her polls are poor predictors, Becky is richer because of it! ° Piggy bank on current affairs. Read news. Associate your product with the news. Send press releases and you’ll receive some media publicity for free. ° When the state government was changing the name of Bombay’s only international airport from “Sahara airport” to “Chatrapati Shivaji airport”, a young kid sends a press release to media outlets letting them know that he is running a poll on a website asking people if they liked the new name or not. The local news channel makes his website famous and asks people to go vote on his website. The kid then sends the results in a press release to media outlets again and receives even more free publicity when the results are announced on air.